The landscape of tech changes at the speed of light, and as a result, the internet is swimming with resources about the newest languages, tools, and services. We try to add to the mix on the Codeship blog with tutorials, reviews, comparisons, and deep-dives about pretty much anything that would make an advanced developer’s life easier. That means our writers need to have a variety of interests and disciplines in tech, from Ruby to Docker to the latest, shiniest beta that still has a lot of people cocking their heads. And that means we’re always looking for new writers to fill in the gaps. 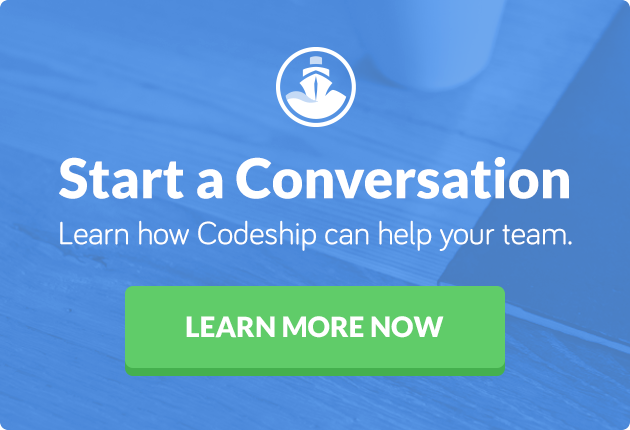 So if you’ve ever thought about having a byline on our blog, here’s what you need to know about writing for Codeship. Keep in mind that we’re looking for articles aimed at advanced devs and executives; the content has to reach a certain depth of sophistication and knowledge. We strive to publish material with a helpful, problem-solving core (i.e., teaching things, solving problems, how you did something, code examples, and the results). We’re not looking for promotional pieces or anything with an overt marketing bent, but fair reviews and comparisons can be a fit. With content like this, maybe it’s obvious that we’re looking for writers who are developers first. We’re much more concerned with your experience as a developer than as a writer. If you’ve written before and want to pass along some links to your published work, that’s fantastic. On the other hand, if you’ve never published anything but you’d like to try your hand at technical writing, reach out to us with some ideas that you’d like to read about. That said, there’s no required experience level for development either. Three years of dev experience, and you’re tinkering with Docker? Tell us what you’re finding. Twelve years of experience, and you want to talk about the latest hurdle your team’s overcome? Let us in on the secret. Once we receive your email, have some patience and we’ll respond with information about how to move forward with your pitch. We look forward to hearing from you!